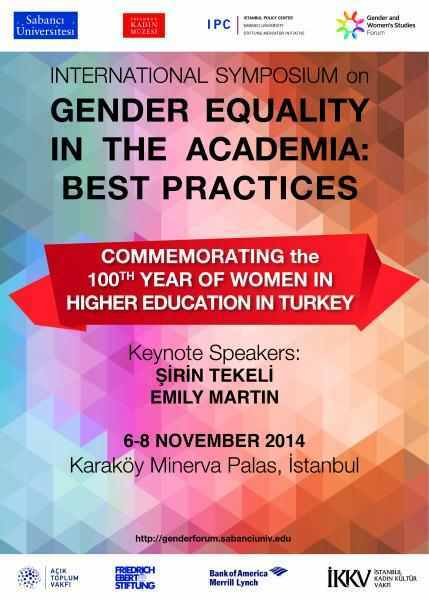 In celebration of the centenary of women gaining the right to higher education in Turkey, Sabancı University Gender and Women’s Studies Forum in association with the Women’s Museum Istanbul will hold the Gender Equality in Academia: International Best Practices Symposium between November 6th and 8th, 2014 at the Karaköy Minerva Palas to discuss policies, programs and best practices for gender equality in universities on an international level. The opening speech of the conference will be delivered by Şirin Tekeli, who is a pioneering feminist, activist and political scientist author. Emily Martin, who is a feminist anthropologist currently teaching at New York University, will be delivering the keynote speech on the gendering of the biological sciences and the historical changes in the area. As part of the symposium, an exhibition titled “100 Years Women at the University Women’s University 1914–1919” will be available for viewing between November 7th and December 21st at the Consulate General of Greece in İstanbul - Sismanoglio Megaro. 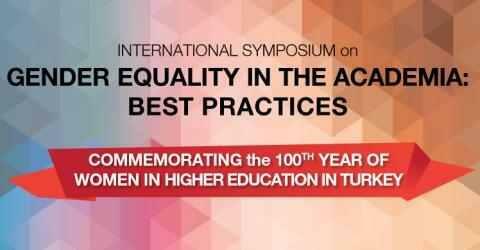 The symposium is expected to contribute to the processes to establish mechanisms for implementing, institutionalizing and protecting gender equality and diversity in Turkish universities, and towards making permanent, systemic changes in university policies.